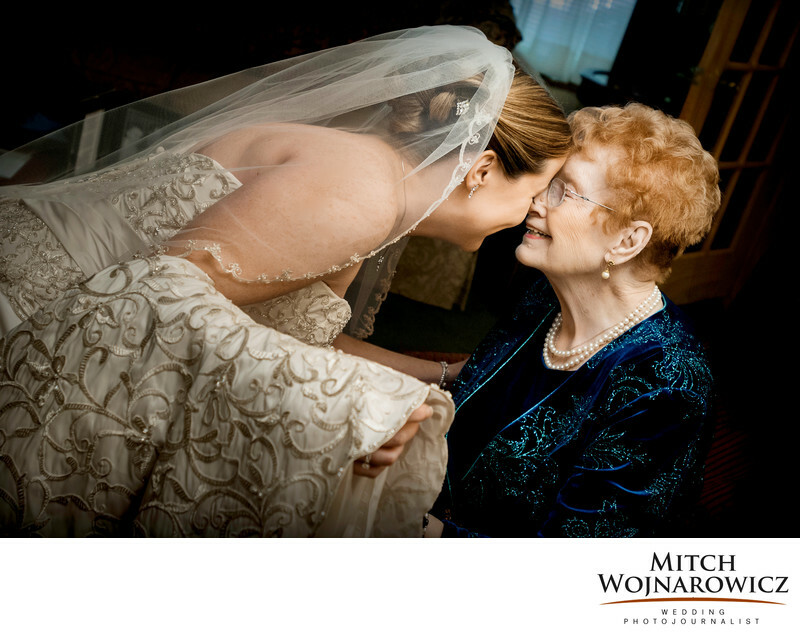 Catskill wedding photographer..Maggie and her grandmother share an emotional and intimate moment before an East Durham wedding in the Catskill Mountains of New York. This was a simple setting. In the family home as Maggie was getting ready for her wedding. She dressed, then came out for a sort of "reveal" to everyone there. There was such a bond between her and "gram". They looked at each other, communicating silently. There was the understood thanks that each of them were able to see this day, together...Emotions on the wedding day can range from playful to heartfelt as the wedding progresses through the various stages. Preparing a schedule in advance with your photographer allows me to work naturally through the time he's at your event. Then the photojournalist can take over as your catskill wedding unfolds. And the great moments such as this one can be captured forever. ..Let’s talk about your Catskill wedding, regardless of the season.Keywords: Catskill Mountains (6), wedding (9).